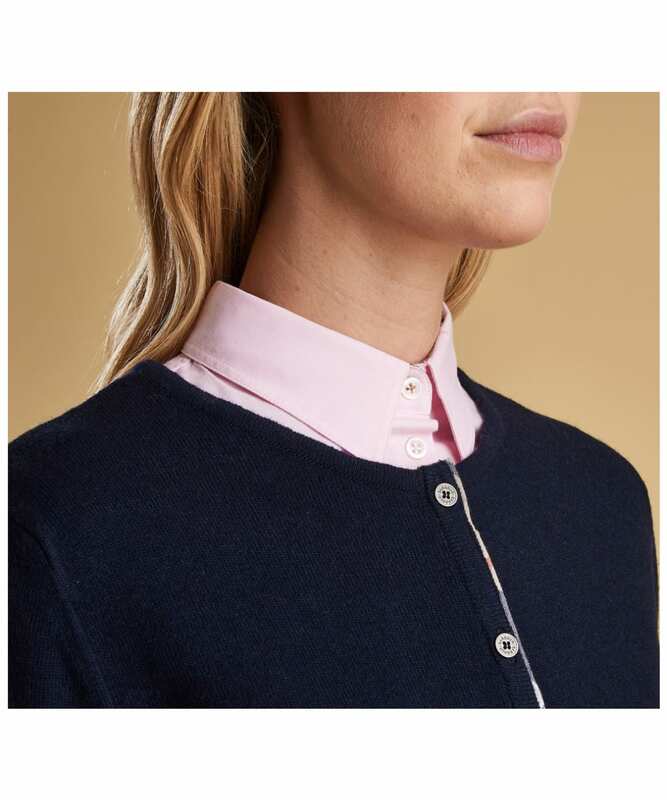 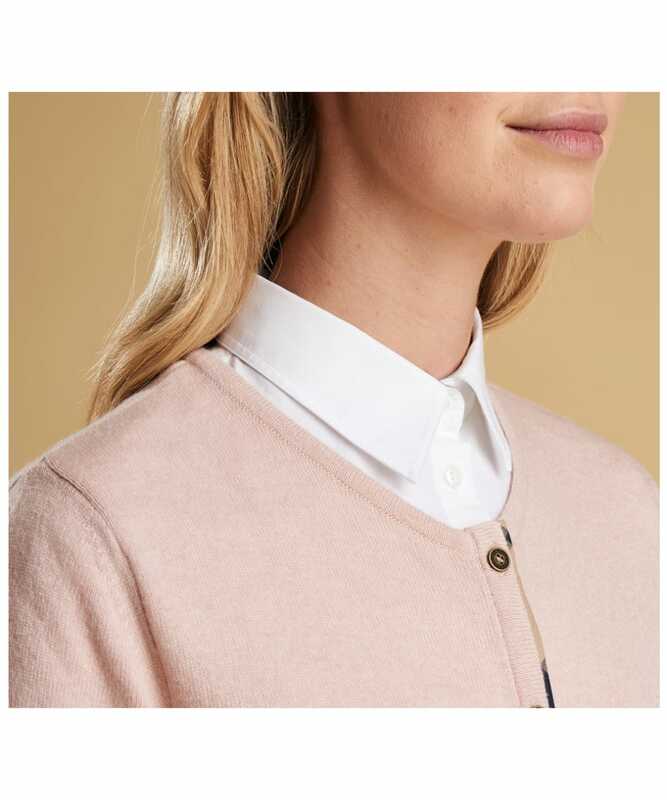 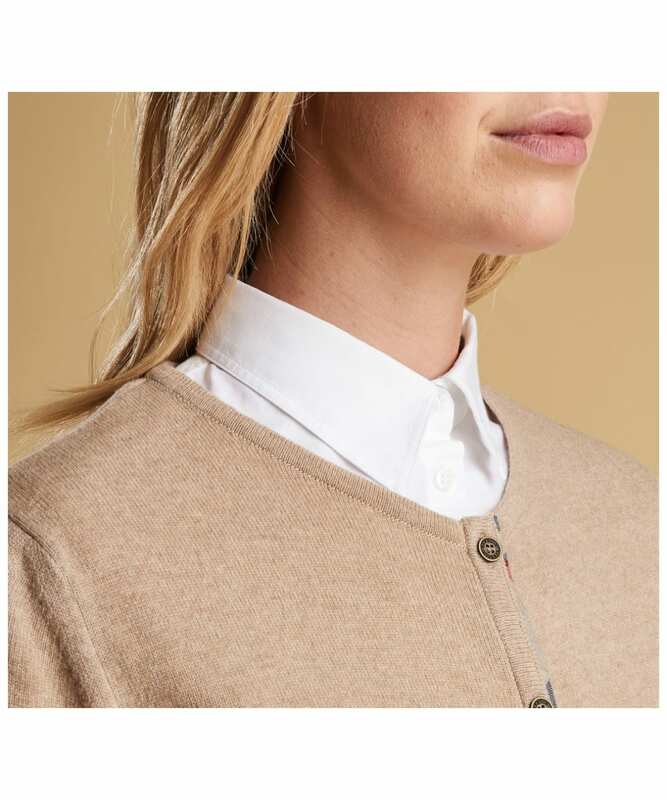 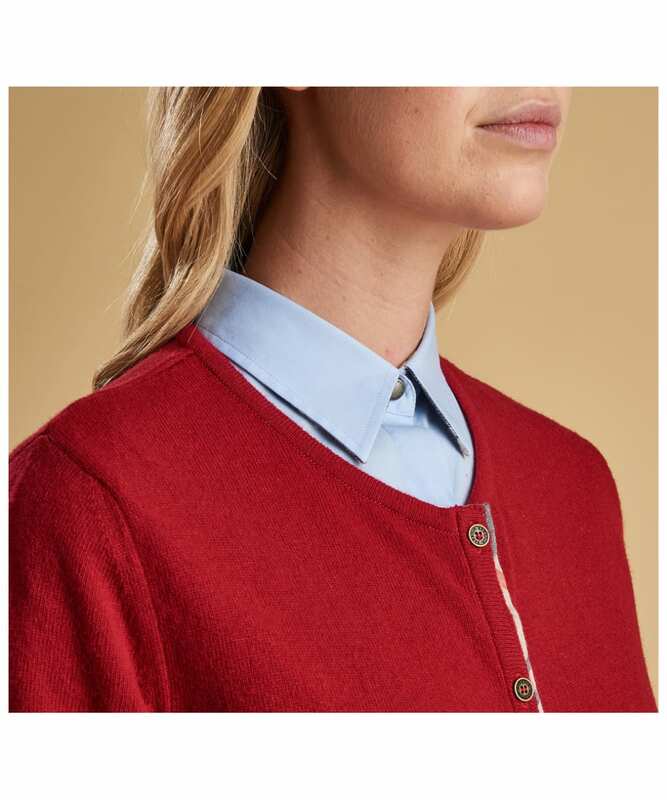 Sure to add warmth and style to your layered ensemble, the Women's Barbour Pendle Cardigan has been crafted from a wool mix, with an added touch of cashmere for a luxurious feel. 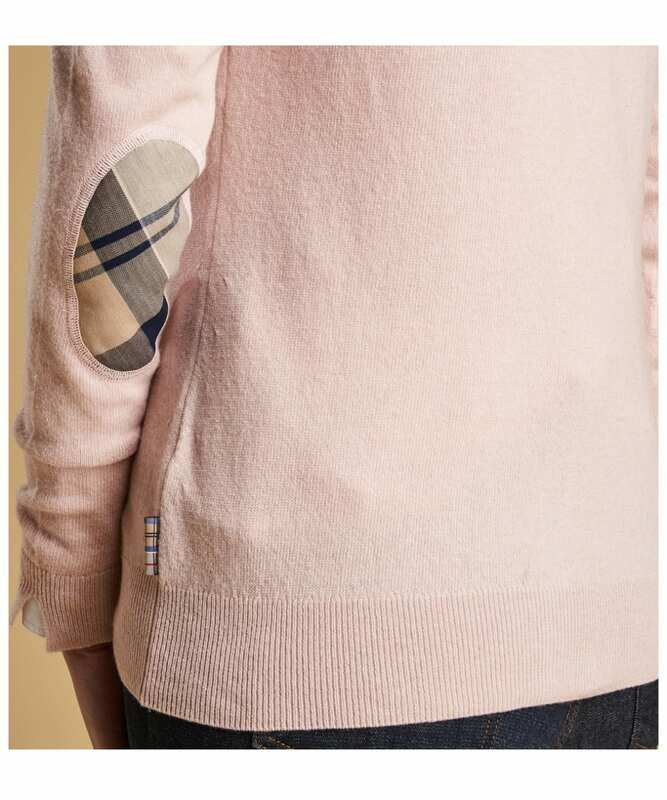 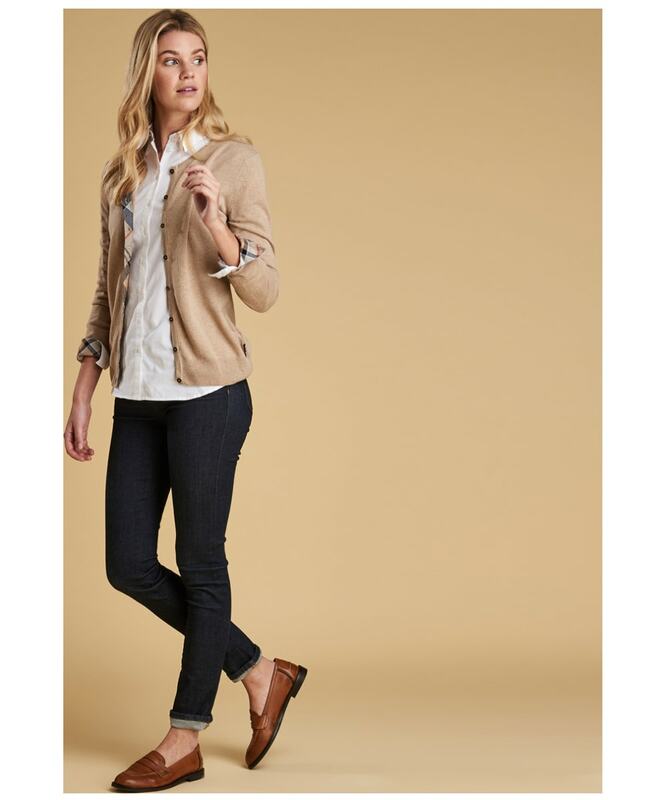 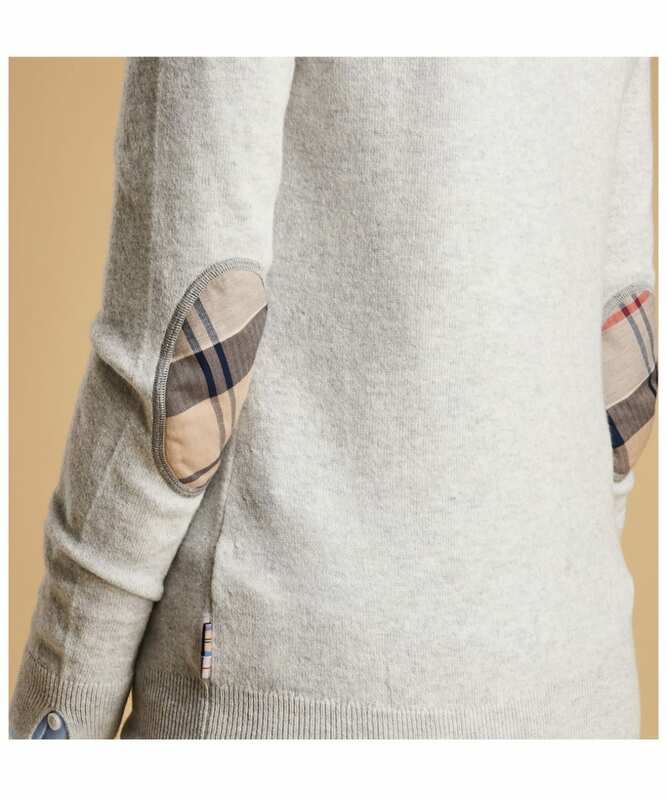 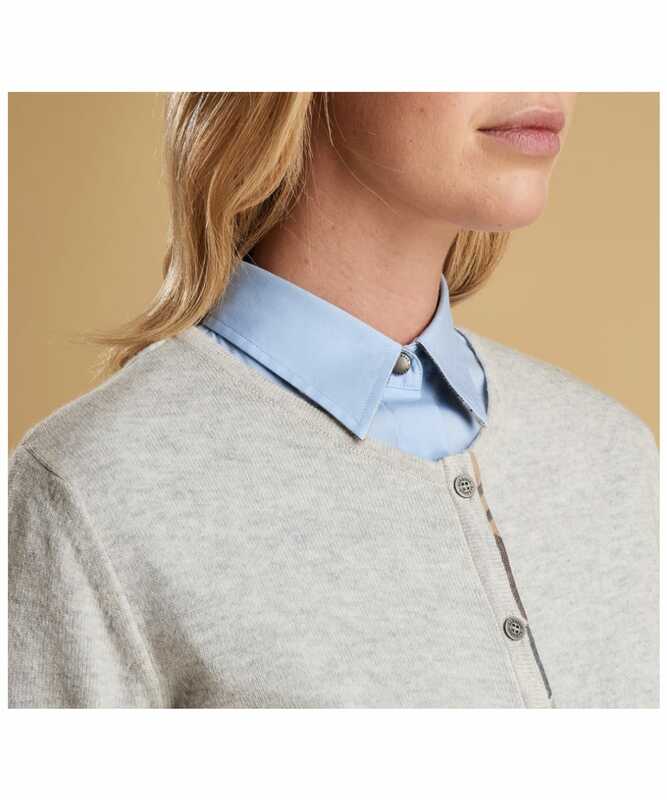 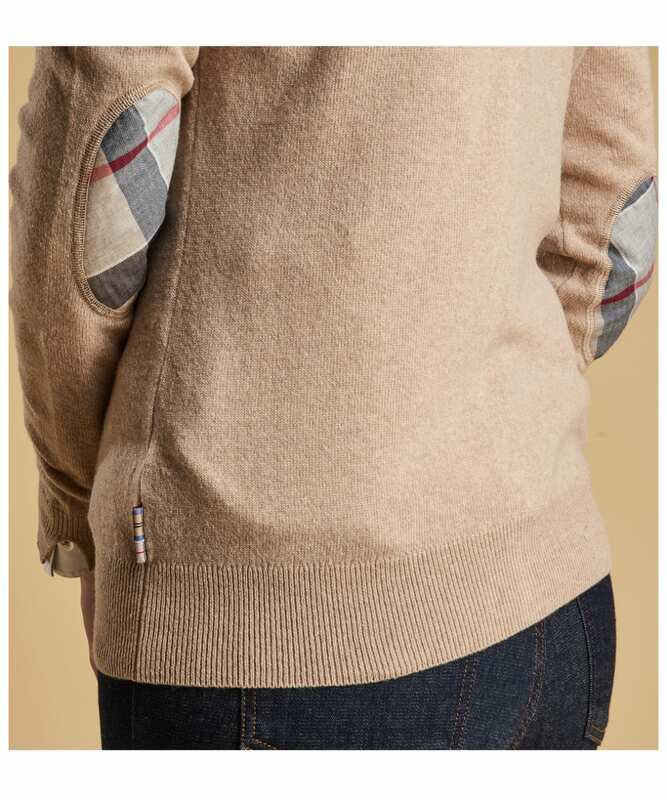 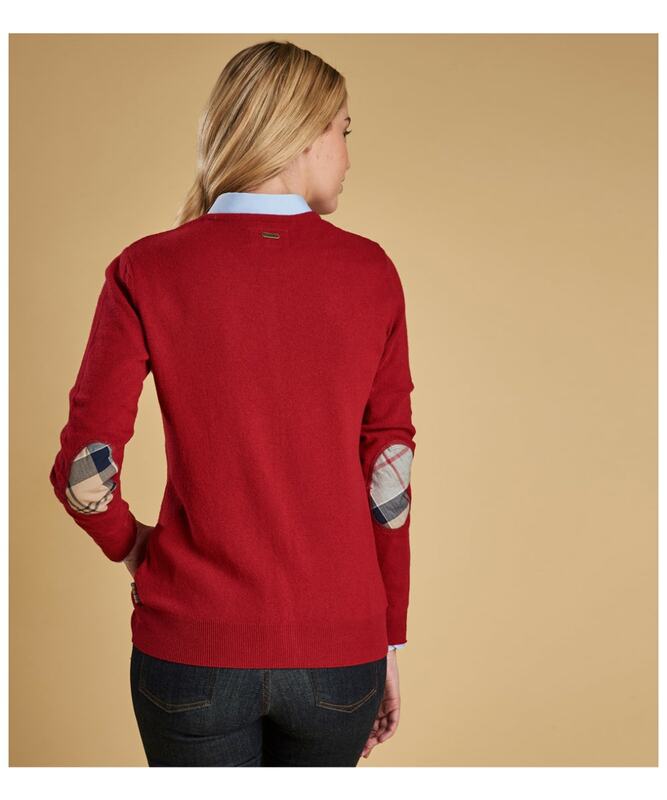 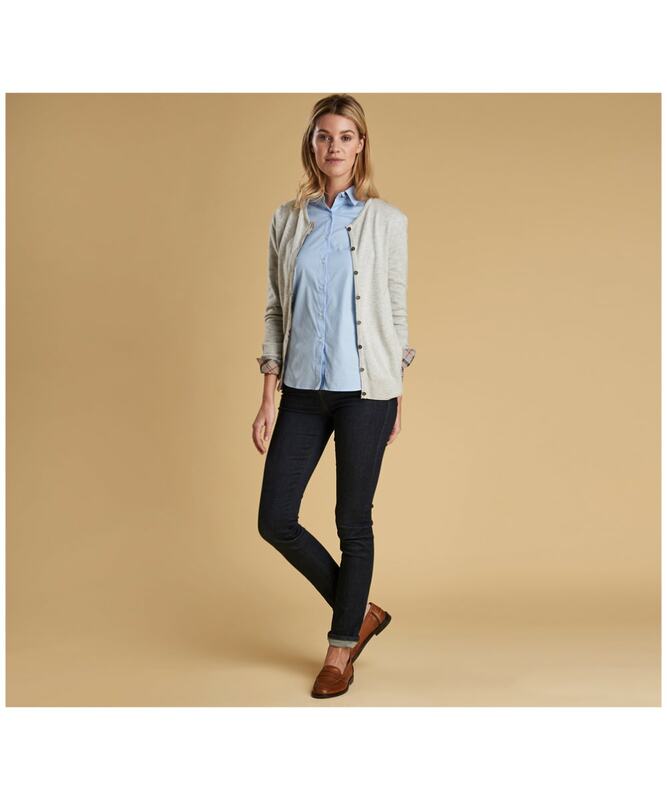 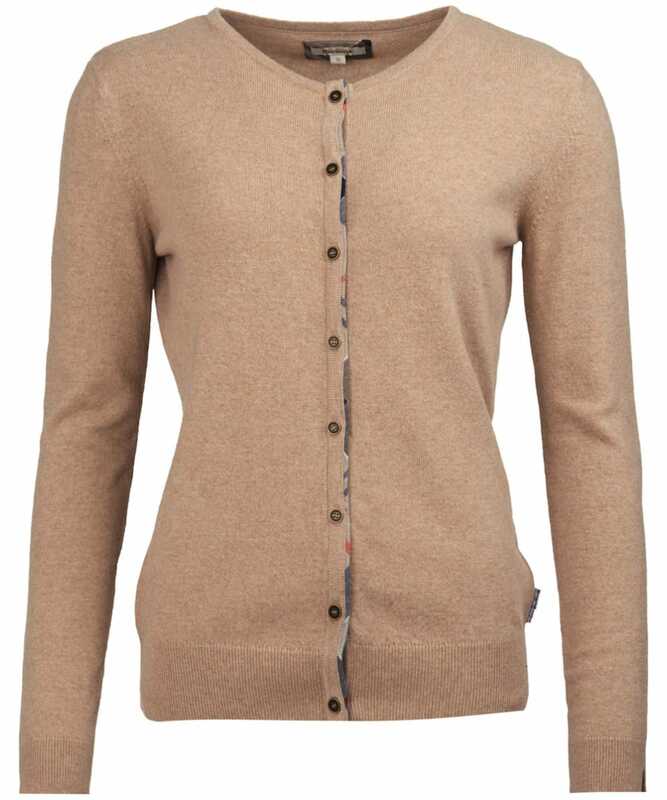 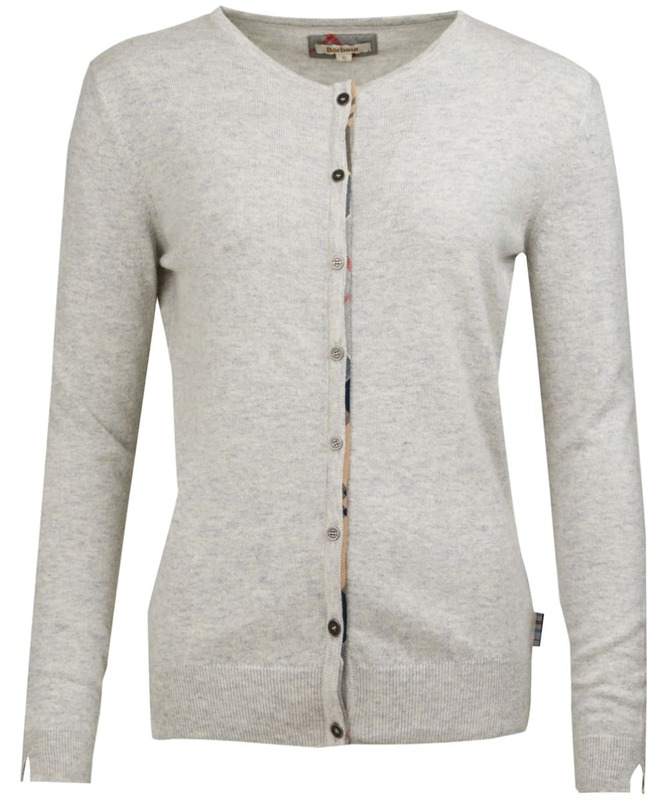 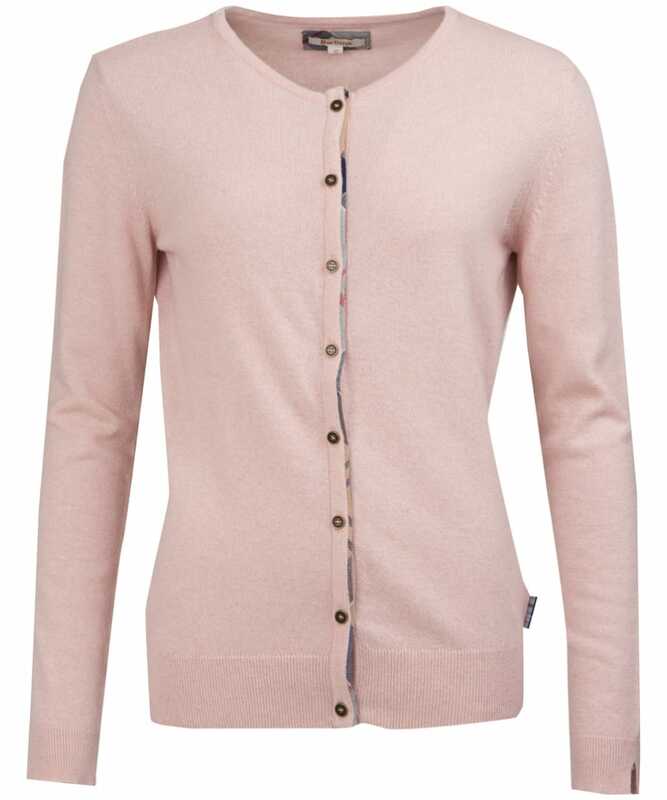 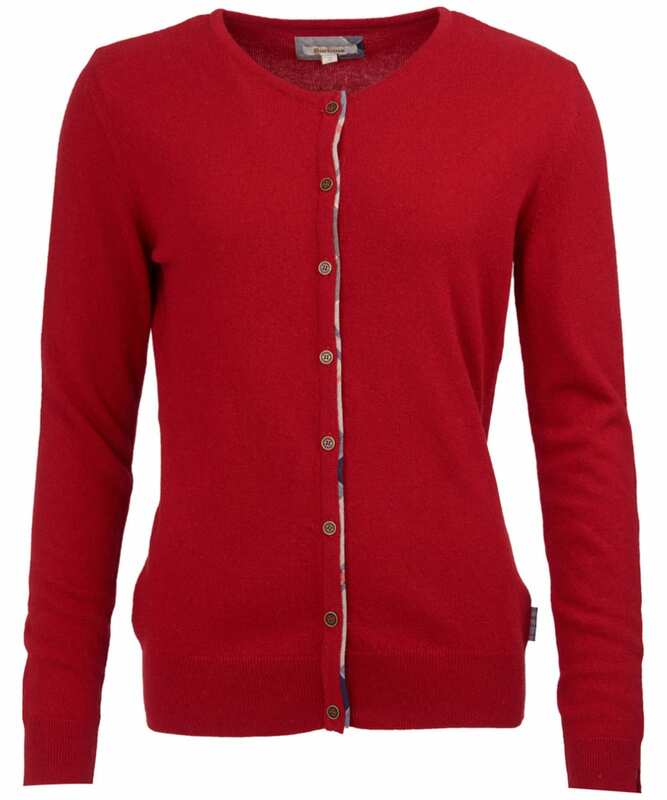 This timeless cardigan features a simple round neck and long sleeves making it easy to wear. 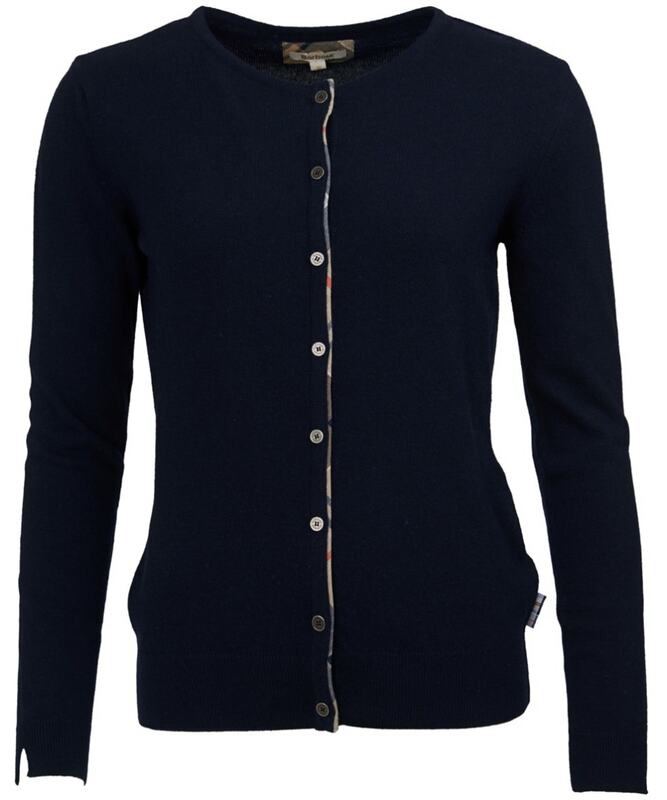 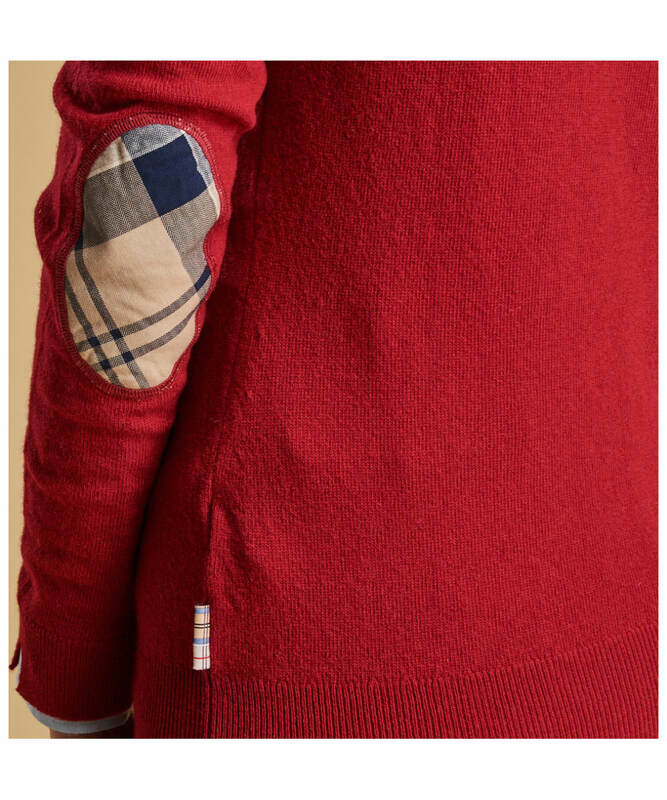 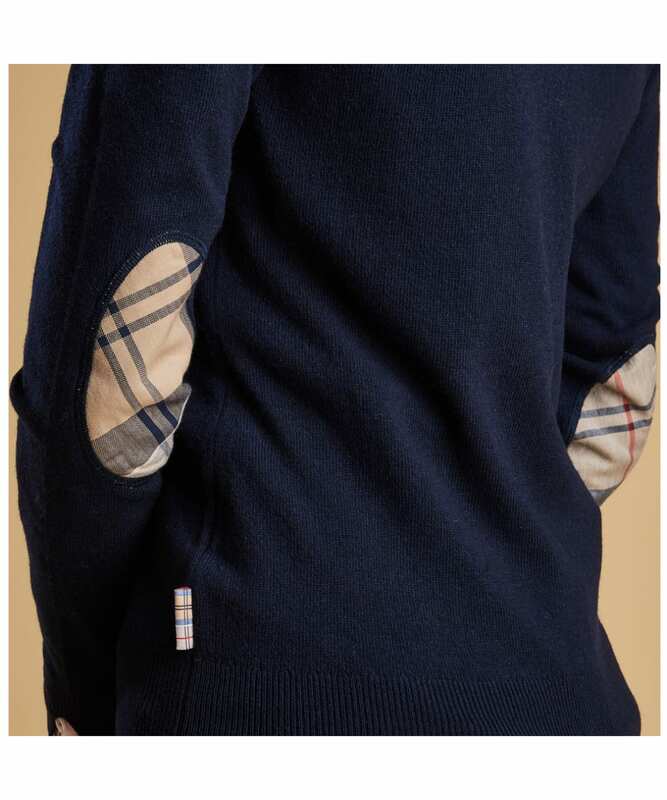 For an iconic feel, the cardigan boasts a Barbour tartan trim to the front button placket.